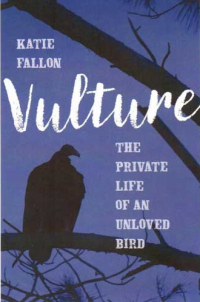 ESSEX — The Connecticut River Museum presents, “Vulture: The Private Life of an Unloved Bird,” with author Katie Fallon this evening, Thursday, June 15, from 5:30 to 6:30 p.m.
Join Fallon, author of this fascinating book about vultures, for a reading, book signing, and discussion of the essential roles that vultures play in healthy ecosystems. This event is free to members of the Museum and $5 for non-members. Seating is limited; call 860.767.8269 ext.110 to register. The Museum is located at 67 Main St., Essex, CT 06426.